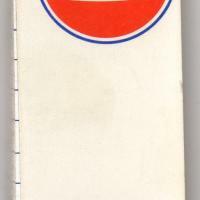 These are the sticker that were placed on the car door indicating what was serviced and when. 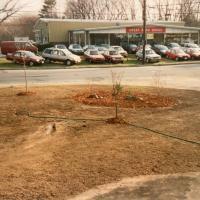 This former automobile dealership was located on Great Road at the corner of Thompson Street. 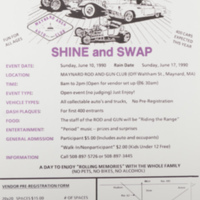 A poster advertising the Second Annual Maynard Area Auto Club Autofest. 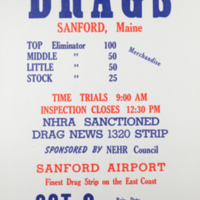 A poster printed in Maynard for a drag meet in Sanford Maine. 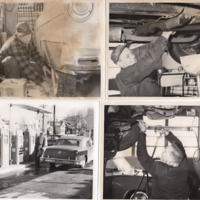 Newsletters from 1989 through 2006 (not complete), various year calendars and miscellaneous information relative to the club.